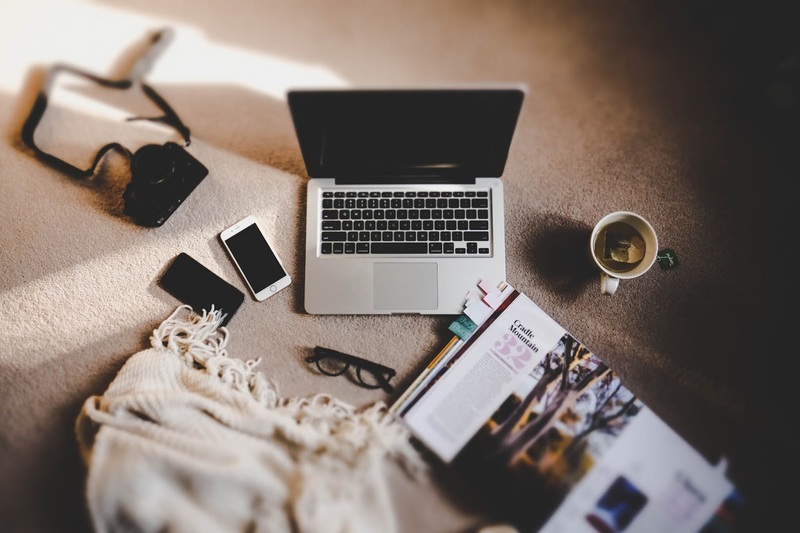 Starting a blog could be a fun little hobby of yours or a full-time career, depending on what you want to get out of it. For me, I always wanted to create a website that would turn into a job. While I had no idea what I was getting myself into, I can honestly say creating a blog is the most significant decision I have ever made. Now each day is filled with new and exciting projects that make me happy to wake up for. That being said, a lot of time and energy goes into this that I never expected. From countless videos, articles, and my own experiences, I have grown from those beginning days of blogging. While this job will keep me learning and developing my skills every single day, there are things I have learned that have stuck by my side. 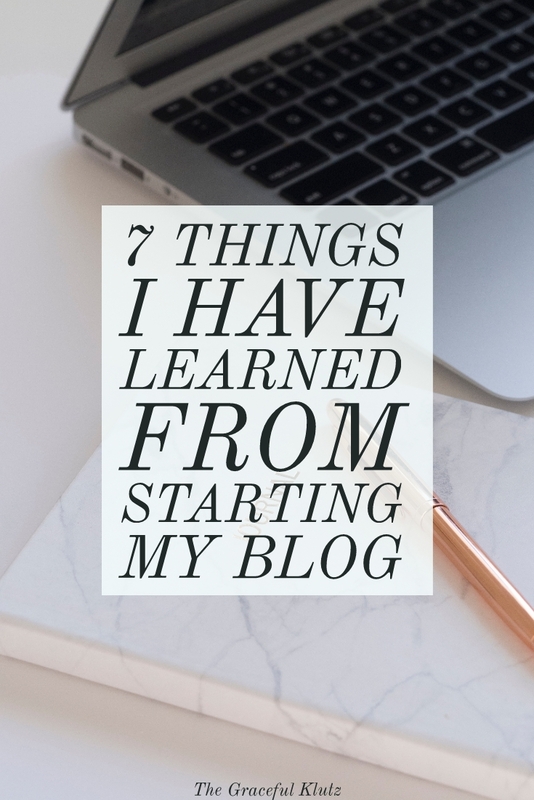 If you are just starting off or have an urge to start the new journey that is blogging, these are a few things that might come in handy for you. Seems like a silly thing to learn, but this one probably took me the longest. It took me forever to purchase a domain after creating my website finally. I was so indecisive about everything because I wanted it to be perfect. For that matter, it was months before I even promoted one of my posts. One huge thing that stopped me in my tracks was comparing myself to others. I would look at phenomenal websites and realize mine was nowhere near that magnitude. Don't do this. Everyone has to start somewhere (even the pros). It is okay if your website doesn't look the greatest or you don't have your dream board completed within a week. You'll get there. Instead of stressing about these things, just do what you do best. Make sure you are creating quality content that is original, and everything else will eventually fall into place. My website still is not where I want it to be, but I can work on that slowly as I continue to post articles that make me happy. Trust me, your readers care more about what you are writing then what your blog looks like. I used just to write when an idea came to me. While I never skipped a day on my website, behind the scenes was utter chaos. I would have phases of writer's block that seemed to last forever and would force something that wasn't really there. The pieces ended up being my least favorite, and I was in a constant state of stress. One day I became sick of this madness and went to the store to purchase several supplies. This included a planner, several notebooks, highlighters, and multi-colored pens. Now I schedule out my entire month ahead of time. I have a notebook solely created for ideas, one for my Patreon, and another one for a detailed to-do list for each day. On top of this, I keep everything organized in my daily planner. At the end of each week, I vaguely map out what each day will look like and keep track of what will be posting on specific days. This method not only diminished my writer's block, but it also kept me two weeks ahead of schedule at all times. Trust me, writing something ahead of schedule instead of the night before it's due will save you so much hassle. You have to promote it. What I never realized was how small my writing would take up compared to everything else. I can easily say that I write 20% of the time and promote the other 80%. This is especially crucial at the very beginning. When you first start out you will not be found in any search results. To have your posts seen, you need to share to different social media outlets (and often). Not only should you be promoting, but you should also be active. What I mean by this is that you shouldn't just be talking about your work regularly. That gets boring, and people stop caring. You need to throw in pictures, text, video, and other articles from different sites you enjoyed. Mix up your media and try to keep on a schedule. I personally have a few apps that help me schedule outposts throughout the day. My personal goal is usually between once and twice a day depending on the social media outlet I'm working with. While I still post up to date content, this helps me stay active even on days that I might have off or too busy to post. One of the best apps I have found for bloggers is Crowdfire. I talked about it at one point in an article on my website because it works fantastically. You can link up all of your media accounts and schedule out posts. Lost for ideas? They even have other articles if you want to use some of them to post. An active account equals for followers who will get more engagement on your site. SEO and Analytics are your friends. First off, you need to have an analytics and search console account set up within the first weeks of your site. Both are a Google tool that helps anyone on the internet who has a website. Analytics shows you detailed information about how many people are viewing your site, what their interests are, and so much more. Search console helps Google index your content so it can be found in search results. You don't have to be an expert for either of these. I know little to nothing about the ins and outs of these things, but they have several tutorials to help you set everything up and use it efficiently. Regarding SEO, it is your best friend if you use it efficiently. I'll go into more detail about this in a later article on what you need to look for in your posts. SEO, or Search Engine Optimization, is what gets you on that first page of search results. Google takes a lot of details into effect when selecting your article for that top page. While I will go into more detail later, one of the biggest things you can do now is to make sure your content is engaging, easy to read, and not too short (around 1500-2500 words is a good range). Use pictures, heading, and subheadings. Our minds get bored quickly on the internet. If we are not entertained within the first few seconds, we click that back button. To keep your readers on your site, you need to catch their eyes. A great way to do this is having a catchy title, pictures that expand your piece, and subheadings. For instance, this article has seven subtitles. If you don't want to read the entire article, you can just read the bullet points and, if one catches your eye, learn more on the topic. While we hate clickbait, it works for a reason. Use adjectives, numbers, and a call to action in your title to entice viewers. Instead of saying, “Dark Chocolate Is Healthy For You,” reword it to say, “7 Ways Dark Chocolate Can Improve Your Health Today.” You don't want a crazy long title, but you want to create an urgency to read it. People love numbers (especially odd for whatever reason) because it lets them know how long the article will be. Make sure you have quality photos to match your pieces and keep your paragraphs short and easy to digest. If you drop off the map for months at a time, you will kill your engagement. Keep to a schedule, and you can even create a series that pops up each week. For example, I do a Broke Girls Guide on my website every other Friday. My followers know that if they come to my site on these days, they will find an article on a specific celebrities style and how to copy it for cheap. I also post every other day (three days one week, four the next). This might be a lot for you if you are just starting off. You don't even need to post every week, just make sure to post consistently. I know some websites that only post twice a month, but they do this each month. Find a schedule that works best for you and stick with it. You'll find much more success doing this than randomly posting when you feel like it. It's a simple fact that if you don't like what you are writing it will show through the context. While recipe websites do fantastic, I am not a big fan of this subject. If I were to write about this, I would eventually dwindle my idea list and resent my blog. You don't have to pick one item, but you do have to enjoy the topics. My website discusses relationships, beauty, fashion, and wellbeing. These are topics that I am genuinely fascinated with and can find endless possibilities of topics to write about. Just because it is popular, does not mean it is for you. At the end of the day, I would rather read an article that shows love and dedication then something that was written for views. Besides, a popular niche means it will be harder for you to reach that top results page. Trust me when I say if you enjoy writing it, someone on the internet will read it. There is an endless supply of subjects out there, find what you are interested in and write about it. These are just a few of the significant tips I have learned during my blogging journey. The more I learn, the more excited I get to write and expand my knowledge. Please let me know in the comments what you have learned to help share our experience around. Also, what are some topics you would like me to go over?